It’s here! Halloween! The night of spooks and phantoms, and little children running around in Batman and Wolverine masks! In this last installment of my four part series exploring some examples of dread-inducing music from classic video games, let’s listen to some music displaying horrifyingly epic grandeur. These tracks are perfect for making an impressive entrance to your Halloween party. Make sure you have the music cued before you start shuffling and moaning your way inside. Music in fighting games usually isn’t quite as dire as this track from the soundtrack to the second installment in the Tekken series. Entitled Here is the Point of No Return, this track sets the mood for fighting in the desert against a wrestler wearing a jaguar mask. Even considering all this, the track is still plenty creepy. This first-person shooter tells the story of a gunslinger in the American West who joins a cult, is killed, then rises from the grave to hunt down the dark god that killed him. The track below features wailing winds, moaning voices, pounding drums and surreal sound design. As we discovered in last week’s musical excerpt from the score of Arcanum, dungeons are great for finding creepy music for Halloween. Luckily, a lot of roleplaying games have creepy dungeons. This track was written for dungeon-exploring in the Xenogears sci-fi roleplaying game. The track features a constant low suspense tone, with harp and bells weaving a hypnotic pattern while metallic impacts punctuate the gloom. This track starts innocently, and may lull you into thinking it’s another low-keyed spookfest, but just wait. The harmonic structure builds into a nightmarish repeating pattern that may be just perfect for your Halloween party entrance, if your costume involves mutations, mangled limbs, and lots of blood. Otherwise, beware – this one is very disturbing. Well, that’s it, friends – classic video game tunes for an unforgettable monster mash. I hope everyone has a great night, full of visits from loads of little Trick-or-Treaters, and enlivened by your favorite gothic festivities for an eerie and magical October 31st. Happy Halloween, everyone!! Halloween is only a little over a week away, so let’s enjoy some more horror tunes. Continuing my four-part series on classic game music for Halloween, this week’s offerings focus on sinister symphonies and virtuoso villainy. A little classically-inspired doom and gloom is sure to add a tone of sophistication to your Halloween festivities. Developed as an action roleplaying game for consoles, Castlevania Symphony of the Night focuses on the story of Dracula’s son Alucard, and his struggle to destroy his father. This slow and hypnotic composition proceeds in a stately triple meter while creatures of the night weave their voices into the serenade. Remember when they used to say that if you played certain heavy metal records backwards, you’d hear Satanic messages? Well, this certainly isn’t heavy metal, and the message is more disturbing than outright Satanic. Who knew that Beethoven’s Moonlight Sonata would be so creepy in reverse? The game is a horror-infused action-adventure mixing voodoo mysticism with apocalyptic dread. Sometimes, only a strong dose of demonic Latin will make a Halloween music experience complete. This track delivers. Evil Dead: Hail to the King continues the survival horror adventures of Ash Williams, the star of the Evil Dead franchise in video games and on the silver screen. There’s nothing like a slimy dungeon to invoke those feelings of horror that are so complimentary to the Halloween season. Fortunately, the Arcanum roleplaying game has multiple dungeons, some crawling with the undead. This track, written entirely for string quartet, captures the mood in a horrifically elegant way. Halloween stealthily approaches like a creature of the night, creeping through the shadows of our innocent October days… so let’s party! 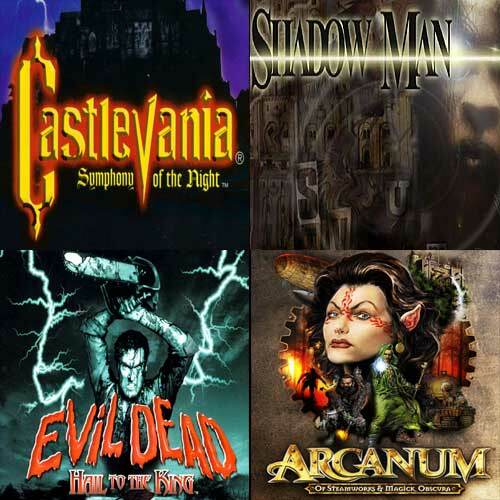 This is my second blog about music from classic games that can put us into the Halloween spirit, and this week I’m focusing on tracks that set an apprehensive mood. 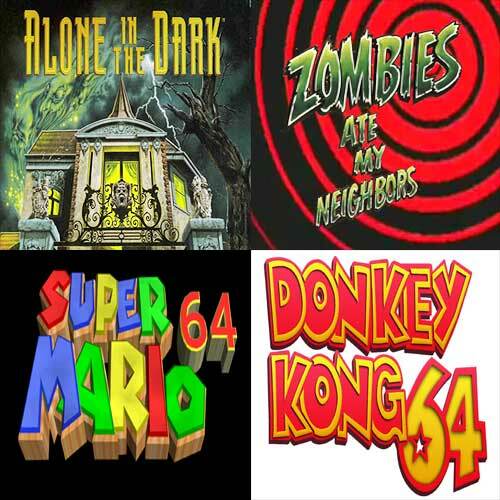 Through dark waves of sound, heavy chords and swirling sound design, these tracks from classic video games can create a perfectly appropriate atmosphere for your favorite haunted house. This survival horror game pitted an American doctor against the forces of Hell in 19th century London. The track below features a deranged, ungodly whispering set against deep waves of tonal horror. While this may be categorized as a sci-fi shooter, it features a horror-infused score that’s perfect for putting your Halloween guests on edge. They’ll hear clusters of despairing human voices, unsettling swells, metal objects that alternate between deep moans and huge impacts of doom, all punctuated by large “gotcha!” moments. As the fourth game in the Resident Evil series, this game had players fighting mutated monsters on a prison island, all set to grim music such as the track below. At times this track may make you think of John Carpenter’s theme to the movie Halloween, while other moments take on a bit of gothic grandeur with the introduction of a cathedral organ. This adventurous roleplaying game isn’t a particularly horrific experience, but it does have its moments, especially when a deceptively attractive demon of dreams is moving forward in her plan to destroy the world. The track below creates its unsettling atmosphere with a combination of pretty bells and dissonant clusters. Some good news that I’d like to quickly share with you — I recently found out that my soundtrack for Assassin’s Creed III Liberation made the first-round balloting for this year’s Grammy Awards. If you (or any of your friends) are members of the National Academy of Recording Arts and Sciences (NARAS), please consider voting for my soundtrack in these three categories: Best Score Soundtrack for Visual Media, Best Instrumental Composition, Best Instrumental Arrangement. 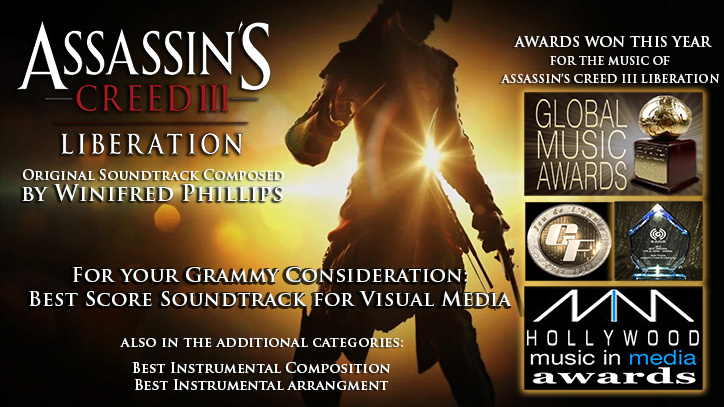 I’m very pleased that my music for Assassin’s Creed III Liberation has made the first-round voting ballot for this year’s Grammy Awards! The holiday season is encroaching, and you may have already been jarred by TV commercials for holiday layaway, but before we give our thanks and jingle our bells, there’s one very special day that we get to celebrate. Yes, it’s the time to practice our sinister laughter, friends – Halloween is coming! For gamers, Halloween may seem like a natural extension of our passion. Gothic and grim elements are often plentiful in our favorite pastime. Plus, some of the more die-hard gamers already enjoy donning colorful costumes at conventions, so these folks need only open their closets to find a stylish Trick-or-Treat fashion statement. 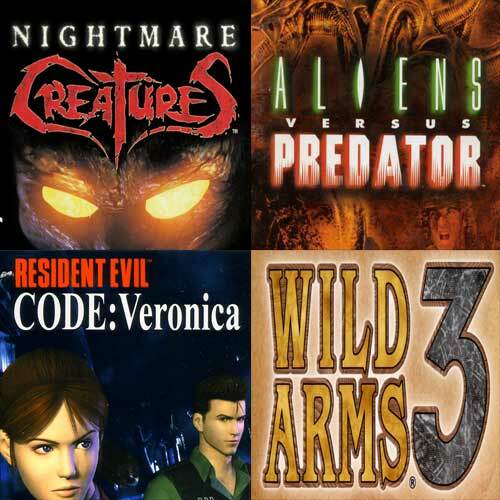 Games have provided plenty of macabre experiences, accompanied by suitably spooky music. So, to celebrate the approach of Halloween, I’ve decided to dedicate the month of October to creepy and classic game music. Every week I’ll post a handful of Halloween-appropriate tracks from some venerable video games. 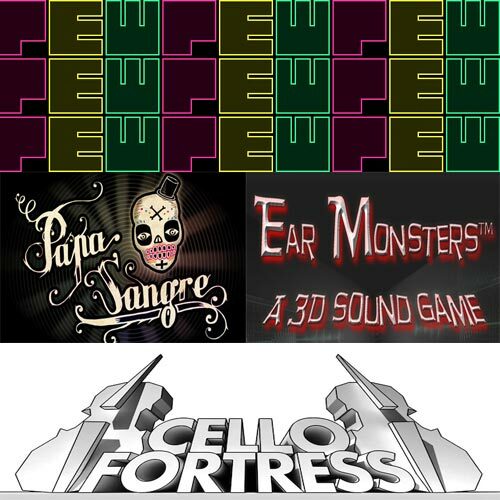 This week, I’ll be starting with music from the lo-fi era of game scores. 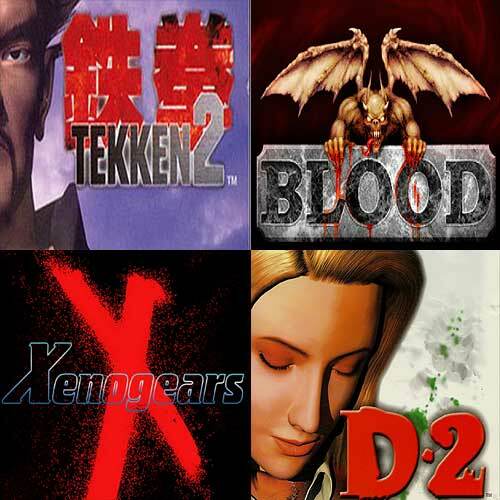 The sound in these games was designed to be generated by the sound cards of early personal computers and the limited audio resources of game consoles such as the Nintendo 64. Inspired by the stories of H.P. Lovecraft, this survival horror game trapped players inside a haunted mansion. Some of the music is surprisingly atmospheric, considering the limitations of the personal computers that were expected to render the chilling soundscapes of this nightmarish adventure. Here’s a mind-bendingly creepy moment from, of all places, Super Mario 64. In this part of the game, Mario climbs a staircase that never ends, no matter how hard he tries to reach the top. The music for this gameplay sequence creates the impression of an ascending musical pattern that continues on its upward course forever. The technique is a musical illusion known as the Shepard Scale, in which the ascending notes progress in simultaneous octaves – the upper notes imperceptibly fade away, while the lower notes subtly fade up and take over. This process happens repeatedly, creating the illusion. A very creepy track from Donkey Kong 64, this music emulates the sound of the traditionally Halloween-associated xylophone and theremin, making for an early game music ditty that fulfills our Trick-or-Treat expectations. Can sound be used as a primary gameplay mechanic? In this blog post, I’ll be showing you videos of a number of recent games that have tried to answer this question – they’re all fun and fascinating in their own ways. As an audio content creator for the video game industry, I’m definitely intrigued by the trend of using audio as the primary mechanic in a video game. In an audio-driven game, the players have to use their ears in order to play – sound takes over the responsibility to deliver crucial gameplay messages to the player. Instead of audio providing support to a primarily visual experience, the audio-driven game turns that paradigm on its head, forcing the visuals into a supporting role for a primarily aural experience. To explain it another way, consider those players who sometimes prefer to turn off the sound of a game and simply rely on the visuals. In an audio-driven game, that would be impossible. On the other hand, players could conceivably turn off the visuals (or simply close their eyes) and still successfully play the game and enjoy themselves while playing it. Papa Sangre is one of the purest examples of this approach. The game has almost no visual content at all, instead presenting only a rudimentary black-and-white dial for changing direction, and the image of two feet that propel your character forward when tapped sequentially. With this bare-bones interface, you navigate a lush aural environment. As a new arrival in the land of the dead, you navigate through total darkness, searching for your lost love. The game was created by Paul Bennun and the team at Somethin’ Else. Here’s a video demonstrating a few minutes of gameplay (best enjoyed wearing headphones). Have you heard an audio-driven video game that you’d like to discuss here? Please share your experiences and impressions in the comments below!